Fescue is a cool-season grass. Although fall is considered the best time to plant fescue seed, planting in spring is also possible. The most important aspect in choosing when to plant the fescue seed is the temperature of the soil. Ideally, the soil temperature should be between 50 and 65 degrees F. This will normally occur when the air temperature reaches 60 degrees F, according to turf growers at Fescue.com. You will need 3 to 5 pounds of fescue seed per 1,000 square feet of planting area, according to the Virginia Cooperative Extension. Test your soil before sowing the fescue seed. Check with your county cooperative extension office for soil-testing facilities or purchase testing kits at a gardening center or nursery. Analyze the soil test results to determine which, if any, amendments will be required. 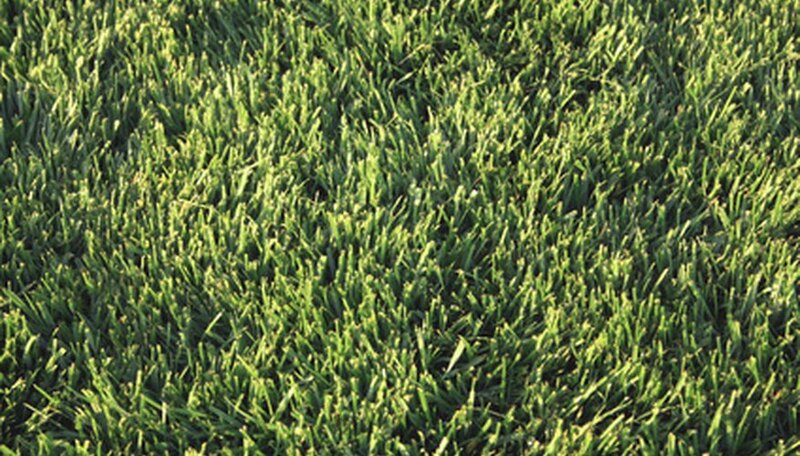 Common amendments for a fescue lawn include nitrogen, lime and compost. Pour the amendments, at the rate suggested by the soil analysis, over the planting bed. Til them into the existing soil until the soil in the area is loose and there are no large clods. Level the soil with the rake, removing any hills or depressions. Pour half of the fescue seed and half of the sand into the broadcast spreader. Walk over the planting area in an east-to-west direction, sowing the seed as you walk. Fill the broadcast spreader with the remaining seed and sand and walk in a north-to-south direction, seeding as you walk. Rake the area lightly so that the seeds are just slightly covered. Roll the planting area with the hand roller until the soil is compacted. Water the planting area with the fine mist setting on your hose or sprinkler and water daily until the seeds germinate. Master gardeners at the Gloucester County, Virgina, extension suggest that residential plantings of fescue do not require a straw mulch.